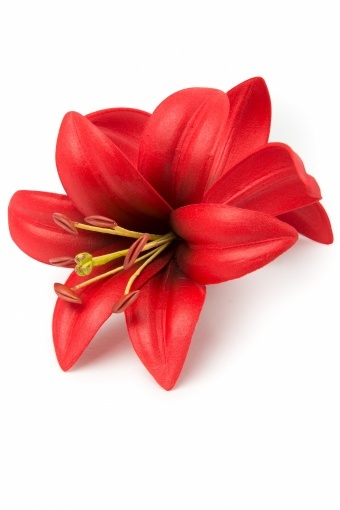 Pahala double Lily red hairflower from Miss Candyfloss. 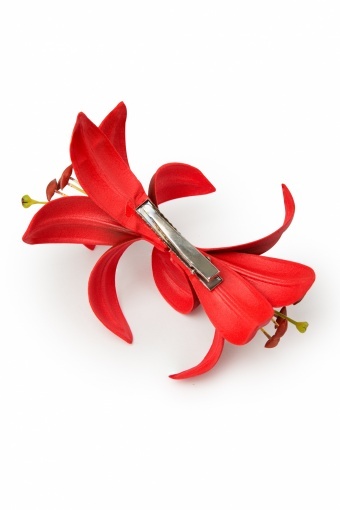 Handmade double red lily flower attached on metal hairclip. 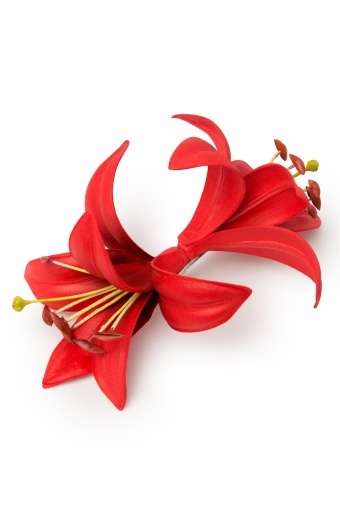 Can also be worn as brooch. 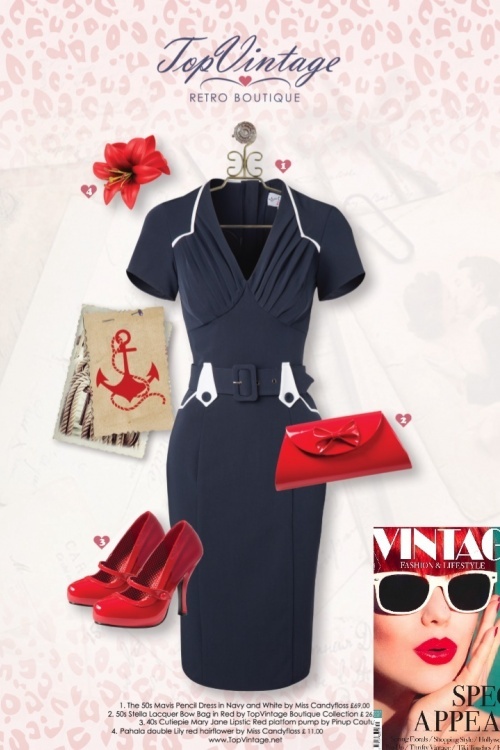 Featured in Vintage Life and Dutch magazine Vintage Lifestyle! Super leuke jurkjes, snelle levering en goede ruilservice. Fijn dat jullie ook aan de rondborstige dames denken! Vast niet mijn laatste bestelling! All superfantastic , the ship super fast and your attencion the best 100 points, i will buy again! !